When it comes to amazing backpacks, you really can’t beat High Sierra. This outdoor gear brand has a focus on backpacks for hiking, backpacking and other adventures but they also have a selection of bags made for casual use. However, you’ll find that many of their backpacks are quite versatile in how they can be used. The Access is one such backpack that can seemingly do a little bit of everything. You can use it to take your books to school, have it function as a carry on bag for travel or load it up for a hike out into the woods. If you don’t have a durable backpack that you can rely on to do it all, the Access will prove to be a lifesaver in that capacity. With details out of the way, let’s get into some solid reasons why the Access is so highly rated by customers. There are many reasons people love this backpack but here are three major advantages. 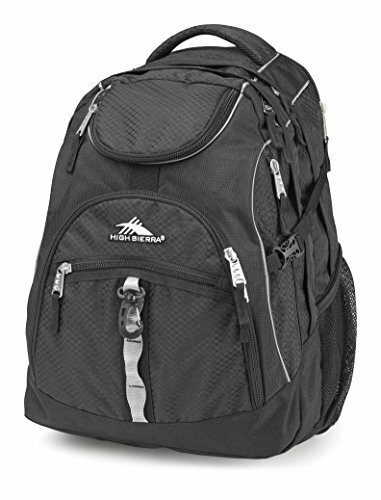 High Sierra backpacks are made to last and the brand ensures a long lifespan by using quality materials. All materials used are tough Duralite Ripstop. The majority of the bag is 600D Duralite which a DWR coating for water-resistance. There is also Diamond Ripstop and Mini Ripstop on other parts of the back, also with DWR treatments. Affordability is important to a lot of people, especially when purchasing from a brand new to them. The Access is extremely affordable for the quality, priced at $120 (check this listing for the latest live prices) but can often be found on sale for close to half price, depending on retailer. 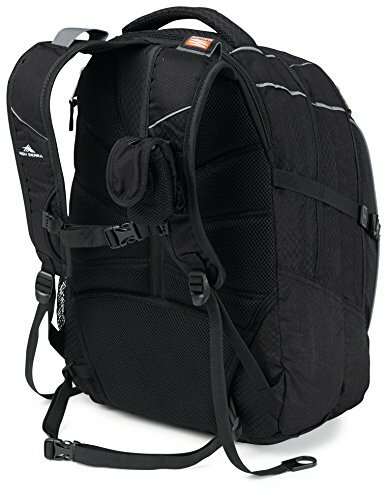 Keeping in mind that this backpack is going to outlast any big box store $30 backpack, this is an excellent deal. This backpack is a lot roomier than it looks. With dimensions of 20″ x 15″ x 19.5″, there is roughly 27.5 cu. in. or 45 liters of capacity. 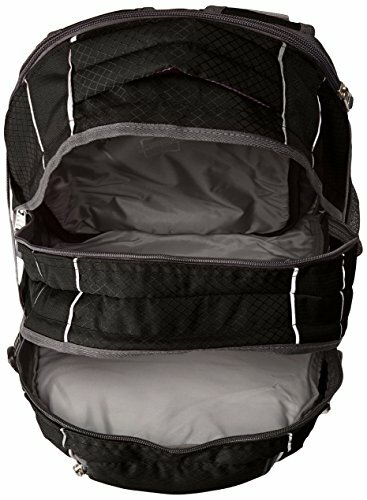 You will get a lot more room than the average daypack but it is still lightweight and comfortable to carry. The compartments throughout the backpack also make this model seem a lot larger than it is. Despite having a 45L capacity, it isn’t recommended to carry more than 20lbs worth of gear in this backpack, especially on extended trips. While the backpack itself can handle the weight, the wearer can experience discomfort. The Vapel mesh + Airflow harness and backpanel help to keep things comfortable but the shoulder straps just aren’t made for heavy weights since this isn’t sold as a true outdoor sport or backpacking bag. The Access has a ton of different pockets and compartments to make organization a breeze. There is a large main compartment, which is where you will store majority of your gear. The Cushion Zone laptop sleeve is built into this main compartment but has back panel access so you can remove your computer without having to dig through other gear. The front compartment has a side zipper for easy access. There is also a multi-pocket organizer so you can keep track of smaller objects. In this organizer there is also key fob. As far as pockets go, there are the usual water bottle/beverage side mesh pocket and a cell phone pocket on the hip belt. The deluxe media pocket can hold different sizes of phones but also will work for an MP3 player or even a smaller handheld GPS. 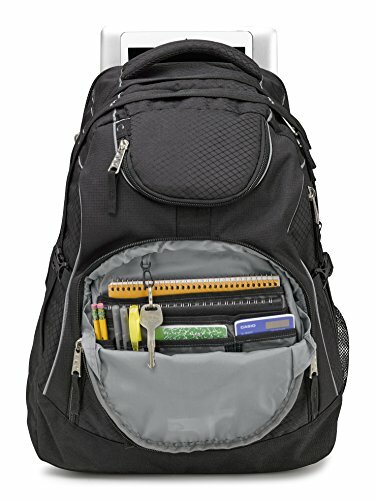 Despite the large size of the backpack, these pockets and compartments really help to keep things organized so you can find what you are looking for quickly. The Access really is an excellent all-arounder. You’d be hard pressed to find a backpack similar to this one that gets as many positive reviews. It’s advantages really can’t be beat easily. Even with everything the Access has going for it, there are still two downsides. One complaint that is a design fault has to do with the zippers. A fair number of customers find that after a lot of heavy use the zippers begin to snag. That is an annoying issue but can prove to be a serious problem if the zipper falls off completely, which seems to happen with a lot of abuse. There really isn’t a way to avoid the zipper issue, but thankfully High Sierra’s excellent customer service ensures if it happens to you it will be taken care of. If you really like this backpack, don’t let the zipper snagging stop you from purchasing. There are tricks to make it slide more smoothly or it can be returned to HS for repair. This final disadvantage really comes down to personal preference. While one person may love a feature-rich backpack, another prefers simplicity. The Access has a few additions to it that some believe may be excessive, depending on what they plan to use the bag for. For example, the hipbelt and sternum strap combo may seem unnecessary. The Access gives a more casual vibe but having a harness system is often reserved for backpacks made specifically for hiking and camping. Those who plan on using this backpack for school, work or sightseeing during travels may find that it is a bit much. However, on the flip side those that want to take this backpack on actual backpacking trips may find it necessary. 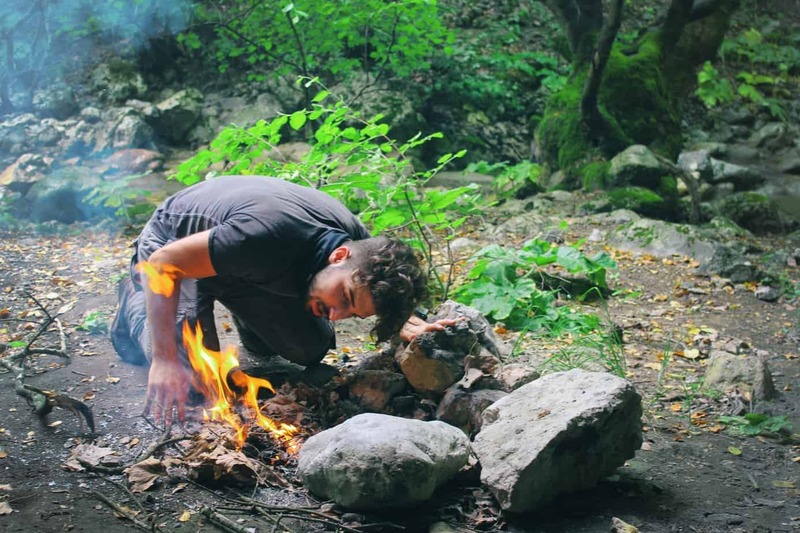 Those same outdoor enthusiasts may instead think the weight of a laptop sleep is excessive. When it comes down to it, the Access can essentially do a little bit of everything so High Sierra gave it a select number of features to be able to handle that. Due to the affordable price you really aren’t paying that much more, regardless of whether you really need a harness system for support or a laptop sleeve. All in all the Access is a superb backpack. It comes in a huge range of colors, is made just as tough as other High Sierra backpacks and it is comfortable. With the numerous advantages and it’s consistently high customer ratings, you really can’t go wrong with this model.